Emotions lead us to our greatest joys and most painful sorrows. They also provide the inspiration for what is most meaningful in our lives. When they become destructive, we are lost in the grips of anger, fear, sadness, and overwhelm: a kind of suffering we have all experienced. In modern times, we have a psychological disorder for just about every unpleasant emotion and mental state. As the external world demands so much of our attention it is no surprise that we find our inner lives to feel empty. Recognizing that we are burned out on distraction and over-stimulation, we may consider an alternative approach. Perhaps, our inner, emotional world may truly be the final frontier. As we develop emotional awareness, we find that we are able to become honest about the difficulties in our lives. We can take responsibility for our destructive emotional episodes, diminishing guilt and regret as we become aware of how and where we are causing them. We learn the power of gratitude and compassion and promote positive change in our lives and in this world. As we do this, confidence builds. We develop an optimistic attitude as we learn how to cultivate emotional balance in the face of adversity. During this evening talk, visiting teacher, Dave Smith, will discuss how Mindfulness practices can be constructively integrated with emotional intelligence. 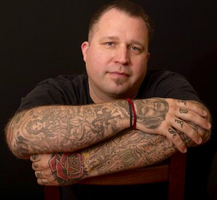 Dave Smith is an internationally recognized Buddhist meditation teacher, addiction treatment specialist, and published author. His background is rooted in the Insight Meditation tradition and he was empowered to teach through the Against the Stream Buddhist Meditation Society. He has extensive experience bringing meditative interventions into jails, prisons, youth detention centers and addiction treatment facilities. Dave teaches residential meditation retreats and classes, provides trainings and consulting in both secular and Buddhist contexts, and works with students through his meditation mentoring program.